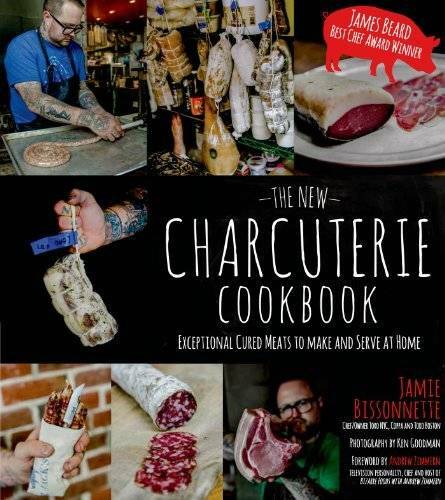 You haven't become a true food-crafter until you've mastered the art of charcuterie, and who better to show you the ropes than nose-to-tail icon, Jamie Bissonnette? 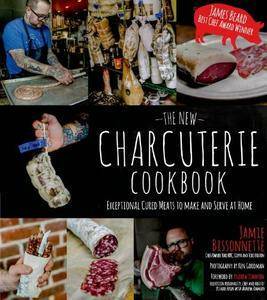 The New Charcuterie Cookbook features sausages, confits, salumi, pates and many other dishes for the home cook. With a wide variety of recipes, such as Banana Leaf-Wrapped Porchetta, Lebanese Lamb Sausages, Mexican Chorizo, Traditional Saucisson Sec and Simply Perfect Duck Prosciutto, you'll have a whole chopping block full of fun and different flavors to try that are distinctively Jamie's. Packed with creative and delicious recipes, step-by-step photography and Jamie's insider knowledge and signature charm, this book is the only thing you'll need to make the best charcuterie at home.